The overpowering scent of freshly brewed coffee hung invitingly in the air. It had been remaining so for the past few minutes, quite daringly challenging my alacrity – the alacrity of a professional who was unflinchingly feeding raw materials in constant streams to the contraption at hand, so that it would churn out the desired products in another blink of her eye. “ The elixir will just have to wait for another half hour more”, I muttered under my breath as the tantalized bundle of nerves in charge of my senses kept firing away diligently, seeking respite. It was close to 6 when I left my cabin, hurriedly sloshing down my throat a cup of tepid coffee. Half of my colleagues had already dashed for the cab which would take the employees to their respective homes. The clutter of the rattling keys that accompanied the raspy voice was allusive. I turned back and flashed my boss my widest grin before embarking on the elevator that led me to the lowest floor. The sky was alarmingly pale that evening. No crimson tinge. No home bound birds. The scenario that but unraveled before me was entirely one that defied the signs of nature – public vehicles that swished past me emitted venom from every single crevice of their being and the pudgy man who knocked me down to the pavement was more a critter of a less civilized world than that owned by Mother Earth, thanks to the cords that drained him of his senses through his ears, both figuratively and literally. The loud blast of an unidentified vehicle ( The latest SUV perhaps ? ) nudged me back to the problem at hand – That I was ten minutes late. And that unfortunately meant I had to wait for twenty minutes more for the next bus which took me home. And they say troubles, when they attacked you, they did so in torrents. The street vendors, all at once, started shifting their temporary workplace to more secure corners as bulky drops of rain started pouring down on the already weighed down world rolling before me, igniting both a fury and inevitability in the home bound people to move faster. My eyes had already started vying with the cue of sleep, the frozen joints of my body badly in need of soothing. Sans an umbrella, the wisest way to evade the unwelcoming shower was to seek solace under the nearest roof and I did just that, undoubtedly and unerringly. People had a way with pouncing on me from behind when least expected and as always I jerked my head in startle to the gleaming, albeit coarse face of a middle aged man standing right next to me. The chime of the golden bells left suspended from the entry door rang through the dingy, yet well cared to shop. A customer let himself in, brushing aside silver droplets of rain from his hair, though with an air of inquisitiveness, quite unlike the way I had barged in. Not caring to reply to my query, the shop keeper left my side, leaving me high and dry amidst a flock of customers who found their way through the shop with ease born out of practice. And that was what prompted me to look around and look around did I for the next few minutes. Minutes zoomed past in a jiffy until that moment when the shop keeper startled me once again from behind. I watched the man as his sharp jet black eyes narrowed down to two slits, peering at me as if he was indirectly solving a riddle for me, a riddle which needed to be solved with utmost precision and direness. A desperate customer kept calling out to him from around the far dimly lit corner of the shop, perhaps seeking help to dig out his favourite book from the pile of Classics stacked against the edge. Ignoring the calls, he kept staring at me as if his next move depended wholly on my answer. 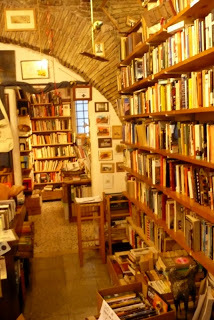 As if it dawned on him just then that he had a customer waiting, he left my side, draped back in the cloak of a considerate shopkeeper, to lend his hand to the person at the far corner who was in search of that particular book he was dying to get hold on. The street lay washed of all its sins at the mere touch of that steady rain. The parched sun had almost vanished behind night’s pall seeking a good night’s sleep, albeit not forgetting to hang his envoy, the round silver snippet of beauty, in charge of his kingdom while he peacefully slept. The city had r eclined back at the cue of nature and I stole a look at the book shop before boarding my destined bus. The shop keeper stood watching me from inside, his gaze implicit and his smile knowing. I tightened my grip on my newly purchased book, drawing it closer to me, before nodding a goodbye to the person who, out of sheer serendipity or perhaps even advertently, descended before me and slowed me down. 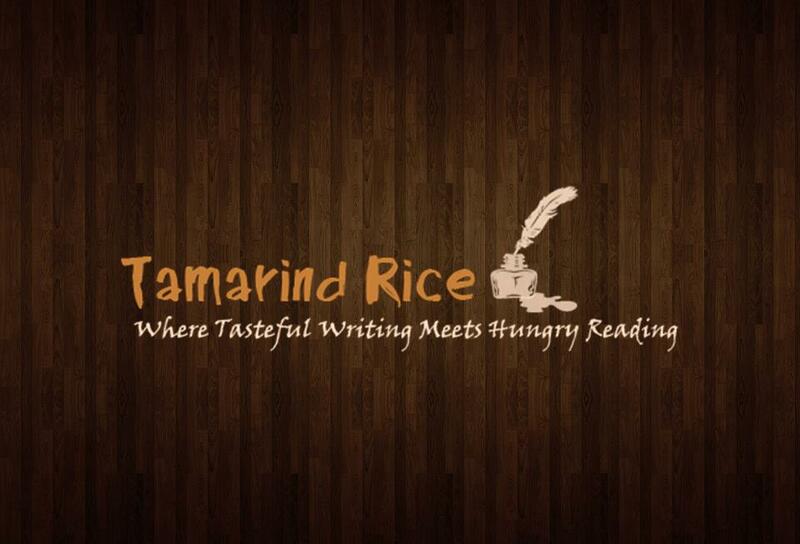 P.P.S: This story was published on Tamarind Rice, an online magazine, in its July issue. To know more about the magazine, visit their page Here. wow! loved the detailing in a lovely story. At times complete strangers knock you and remind something that is missing and not to be missed. I liked that at the end the fierce love for reading was back.. So many time unknowingly few people help us in taking some big decisions of our lives. So detailed and well narrated. P.S: Congrats for 150th post. Cheers for many more to come! I am floored by your expressions and command over the language. As I said earlier, your writings satiate me to no end. I reiterate the same at the cost of sounding repetitive. What a swet and lovely story ,Malini.The last para is excellent.! That's wonderful write. You describe things in your own inimitable style. Hey doc. It's nice to come here, after a little gap I guess; busy life! Life doesn't allow us all the luxuries we would like to have. That's how it goes. More than the story I liked the writing style, the attention to detail and your vivid description. 'The dimly lit corner', the 'classics stacked up', 'Person at the far corner searching for the book 'Wonderful 🙂 Keep writing more. Above all, thank you so much for the good words. This sure is a delightful impetus to keep writing more:) Hoping to see you more over here.